Live Enterprise is Achiga’s system for Digital Content Management for Omni Channel Experiences. Live Enterprise empowers hospitality marketers to strengthen and increase the relationships they have between the hotel, the guest and the brand. An integrated digital experience management system, Live Enterprise enables hotel marketers to rapidly deploy and self-manage their web presence to create targeted engagement with their customers. Live Enterprise has incredible scale, even beyond the current 13,000 users, 2,000 global hotel properties and 8,000+ applications. Its “one-to-many” approach is ideal for hotel companies that require centralized management of distributed web and mobile properties, such as hotels, restaurant, health spas, and any type of franchise model. What Makes Live Enterprise Unique? Unlike other Experience Management Systems, the functionality your chain requires to create an effective, engaging, high-converting digital experience for your customers is already built for you. There’s no costly and time-consuming custom development or backend work required. It’s plug-and-play. As a modular system, it grows with you. You can add functionality as you need it, quickly and easily. We have the right technology to drive your brand’s digital experience – from acquisition, to engagement, to local – and everything in between. Live CMS is central and foundational to the Live Enterprise system. It is both a Campaign and Content Management System that has been designed specifically for the hotel industry. Live CMS supports thousands of hotel-specific applications. 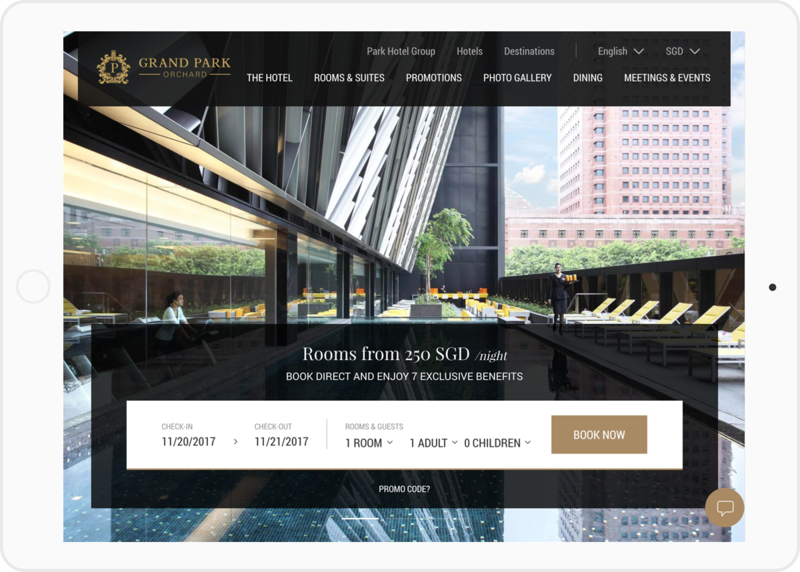 A highly customizable and flexible web-based development platform, it helps hospitality clients self-manage their web presence and create targeted engagement with their customers using an incredibly intuitive interface. While other CMS systems do exist in the market, Live CMS has been developed to meet the specific needs of the hospitality market where it is becoming increasingly important to deliver localized content experiences while maintaining global brand consistency. Live CMS enables brand owners to simplify online customer interactions with a one-to-many approach, making it ideal for organizations that wish to maintain a high degree of control over corporate branding, layout and web functions while enabling users to interact and create content within one system. Within Live CMS, independent proprietors can easily create content, deliver specialized local offers, manage food and beverage, manage meetings and spa services, and track performance metrics, all while maintaining a central brand identity managed by the corporate brand. Developed to meet the specific needs of the hospitality industry. Enables brand owners to simplify online customer interactions and maintain a high degree of control over corporate branding, layout and web functions. A content management system that is centered around the management of content independent of channel or presentation layer. A content management system built for end users not buyers. Designed specifically for the hotel industry, Live CMS has many features to manage content, special offers, and much more. Live CMS gives marketers the flexibility to take advantage of a number of effective, easy-to-use modules, all in a single solution.